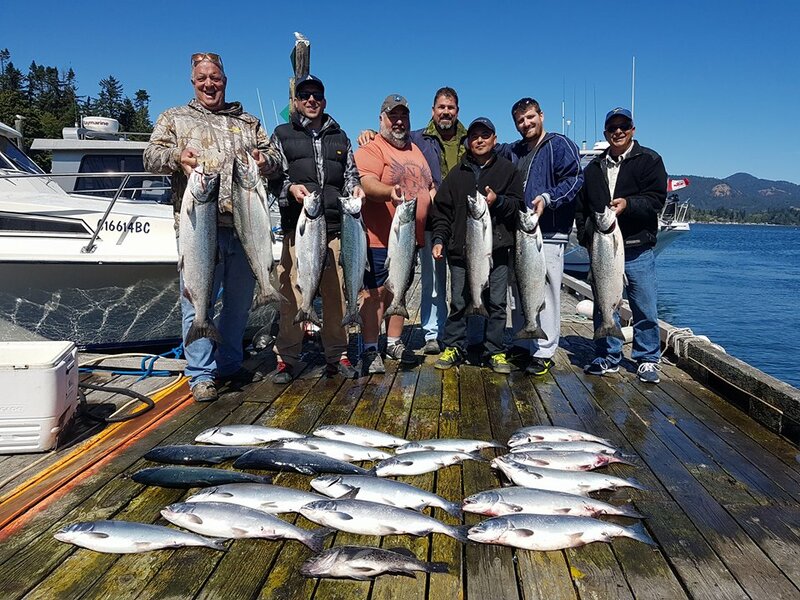 Sooke's summer fishing season has had its ups and downs. Hot streaks and days where they are few and far between, super windy stretches that seem like they will never die down, smokey dead calm humid days, plus the usual August fog. In mid-August the reports have been consistently good. Below is a photo from Roy of Blue Wolf Charters, with a 3-boat trip that caught a whole bunch of nice fish! Good size chinook/spring salmon, lots of pink salmon, and a few early coho thrown into the mix. That's a fun day on the south west coast of Vancouver Island. Bright sunshine, big smiles.